MEXICO CITY — Mexican President Enrique Peña Nieto resurrected the political fortunes of Luis Videgaray, who was ousted in the wake of Donald Trump’s visit last year, by naming him foreign minister on Wednesday Jan. 4. The Washington Post reported the replacement is a stunning reversal at the top ranks of the Mexican government and shows the influence of the incoming Trump administration on the Mexican government’s foreign policy strategy. As finance minister last year, Videgaray advocated for Trump to visit Mexico as a way to calm financial markets and establish a relationship with the then Republican candidate in the event that he won the election. The visit caused immense outrage in Mexico as citizens saw Peña Nieto as bowing down to a candidate who had been harshly critical of Mexicans, including his calls to build a border wall. Videgaray lost his job in the aftermath of the visit, but his stock has been rising ever since Trump’s election. His appointment as foreign minister essentially rewards Videgaray for guessing correctly on Trump’s election. It also recognizes the importance of his relationship with Trump’s transition team as well as his economic expertise in a time when trade ties between Mexico and the United States are being tested. 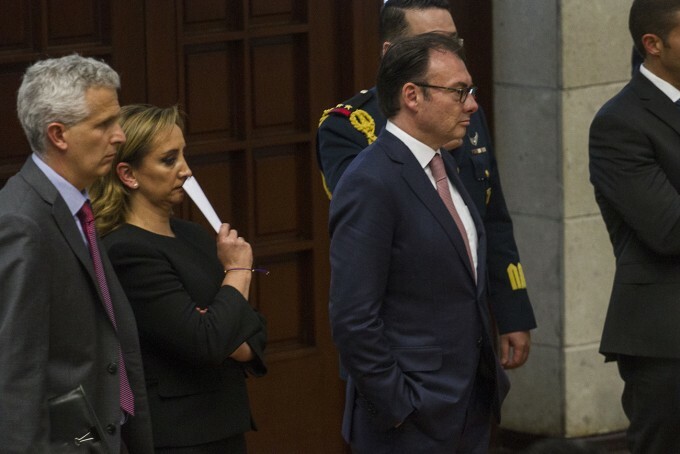 Peña Nieto, in an announcement from the presidential palace, accepted the resignation of Foreign Minister Claudia Ruiz Massieu, who had been opposed to Trump’s visit here and has been actively traveling the United States to make the case for Mexico’s importance to the American economy. Peña Nieto praised her work and welcomed Videgaray back to the government.